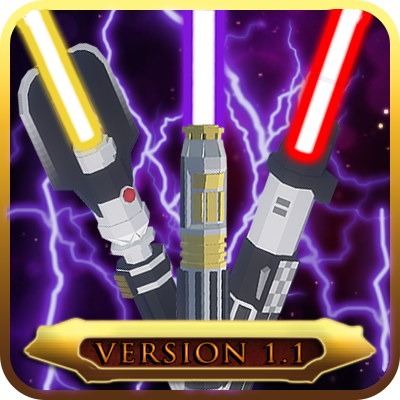 A new day dawns on Advanced Lightsabers, as Version 1.1: Dawn of the Force is finally released! To celebrate the upcoming release of Star Wars: Rogue One, Advanced Lightsaber finally allows you and your friends to learn the ways of The Force, as well as explore new structures and discover new hilt combinations, boosting the estimated total combinations of possible Lightsabers to an eye watering 67 TRILLION*! The balance of the Force is now in your hands - will you be a defender of the Light, or embrace the Dark Side? *Exact estimate is 67,659,977,148,192, based off the total combinations of both single and double-bladed lightsabers, including color and modifier crystals. 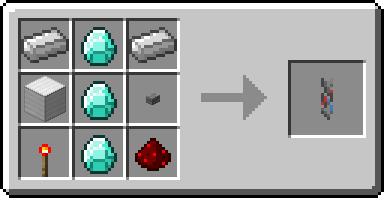 Some combinations may not be available without console commands. 13 unique, upgradable abilities you can now unlock with new Holocrons that can be found in the world. You will gain Force XP alongside standard XP to purchase and upgrade powers, as well as advance your overall Force Mastery. Drain Life: Using the Dark Side, rip the very life force from your enemies to heal yourself! Bring them to the brink with Consume Life, and then absorb the lives of multiple Jedi with the Death Field Upgrade! Shock: Be just like the Emperor, shooting out bolts of lightning from your fingertips! Upgrades to Force Lightning and Force Maelstrom to ensure maximum devastation! Wound: Use the force to crush the internal organs of your opponents! Later, force the very air out of their lungs with Choke, until you master the art of Torture using the force. Even a Sith will think twice before crossing you. Heal: Influence the very midichlorians in your body to rapidly repair your cells, with greater precision with Advanced Healing. Extend your gift even to your allies with the Master Healing Upgrade! Fortify: Focus your mind, so that even the strongest Sith can’t break you! Fortify, Advanced Fortify and Master Fortify reduce the damage inflicted by certain Force Powers for a limited time. Stun: Let the Force flow into your enemy's mind, disabling their ability to move for a short time. Force Stasis extends it further before Stasis Field allows you to disable multiple opponents! Stealth: Bend the very Light around you, making you invisible for limited periods. Be warned, for those strong in the force may still be able to locate you. Speed: Through a combination of altering time perception and muscle augmentation with the Force, you become more swift and agile for a few moments. Sight: All living things use the force, so a focused practitioner can sense it to locate creatures, until you can Gaze upon even fellow force users. Masters of the art can even use Force Vision to even locate the unseen. Battle Meditation: Made famous by Jedi Sentinel Bastila Shan, you can use the Force to focus the minds of your allies, granting bonuses to their Force Pool and Melee Damage. This increases in potency and range with Advanced Battle Meditation and Master Battle Meditation. Blade Throw: Telekinetically direct the arc of your Lightsaber, allowing you to strike opponents from a distance, with Advanced Blade Throwing granting a greater striking area. Energy Resist: Focusing the Force into compressed pockets around your body, Energy Resistance, and the Advanced and Master Energy Resist upgrades, allow you to reduce the damage you receive from other Lightsabers. Force Push: Telekinetically compress and expel the air before you into a powerful burst, allowing you to repel foes. With Advanced and Master Force Push, the range and damage inflicted will increase! Four (4) NEW Lightsaber Sets! Juggernaut: Let the hate of the False Emperor flow through you. Fury: Wield the aggressive balance of Mace Windu in your hands. Mechanical: Reconstruct the most feared lightsaber in the Empire. Mandalorian: For when Bes’kar will not do, wield the legendary Darksaber. 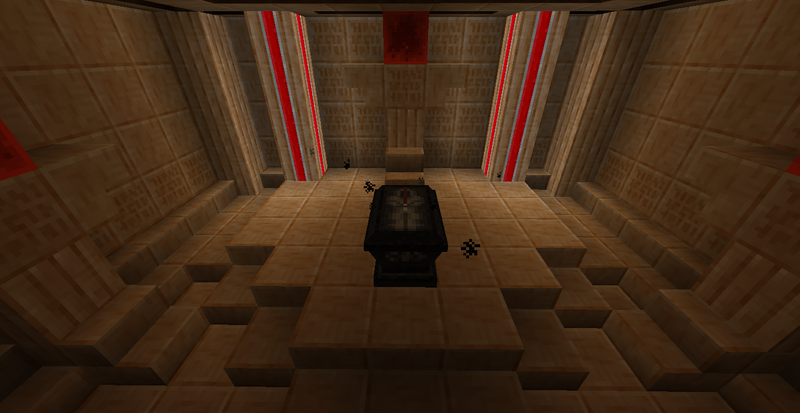 Jedi Temples Jedi Temples can be found in most temperate biomes, and contain valuable Light Forcestone for forges, Holocrons from force training and hidden chests that may contain lightsaber components! 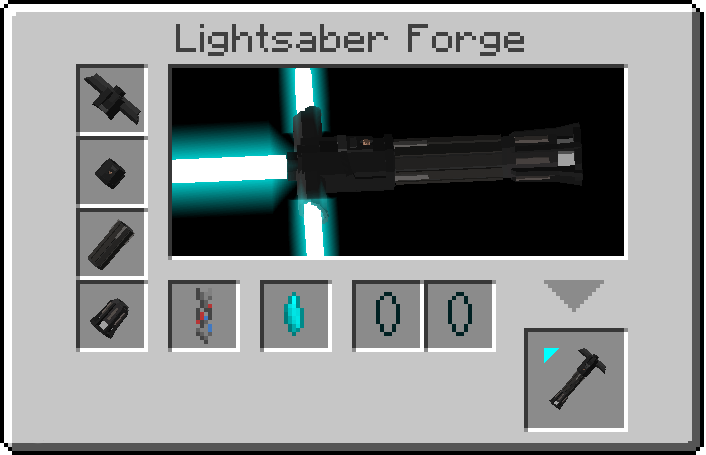 Graphically updated Lightsaber Forge with 2 flavors: Light and Dark variations of the new Lightsaber Force can be crafted using the existing recipe, using the appropriate Forcestone. Power Management System: All unlocked Force Powers can be managed with the 'F' Key. Tap to switch between the 3 on your hotbar, or hold down to open the management menu. Hilt Checking: Certain combinations that are too short can no longer be crafted. You will see this in the bottom-left corner of the lightsaber preview in the Forge. New Audio for Sith Ghosts. Lightsabers can also be toggled on and off by shift-right-click while wielded. Combine 2 lightsabers together in a crafting grid to form a Double-Bladed Lightsaber, which deals AOE damage. Initial Launch ships with 9 unique lightsaber sets, which can have their 4 parts interchanged with each other. Combine them with 18 Lightsaber Colour crystals to pick from, and if you're lucky enough to find one, 4 focusing crystals that give your blade unique properties! The Compressed Focusing Crystal gives a thinner, rapier-like blade, reminiscent to those in Star Wars: Rebels. The Cracked Kyber Crystal gives an unstable, "fiery" blade as seen on Kylo Ren's lightsaber. The Inverting Focusing Crystal gives a black inner blade, like on Pre Viszla's Darksaber. The Fine-Cut Focusing Crystal gives a thinner, sword-like blade, like on Pre Viszla's Darksaber. 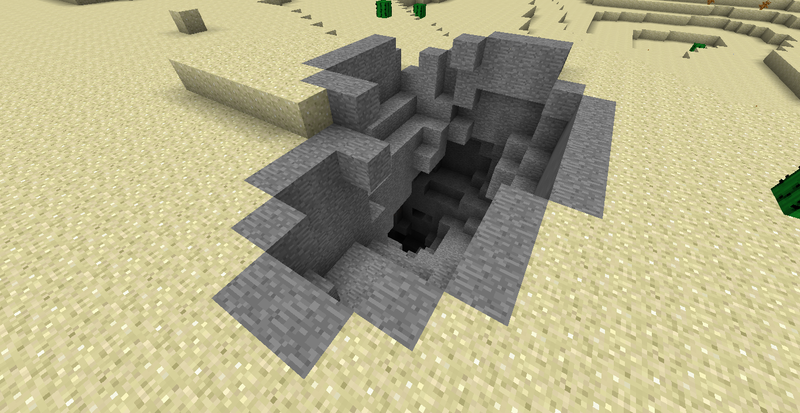 Only generate in special Crystal Caves. 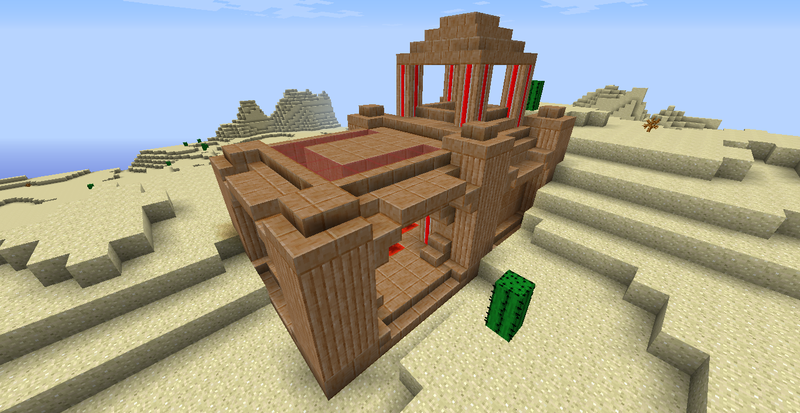 Hidden deep within the deserts are the tombs of long-forgotten Sith Lords, waiting to be plundered! Do you dare brave their accursed halls to reclaim the treasures of the old Sith Empire? Lightsaber components are fully integrated into the loot generation for chests in Villages, Strongholds, Dungeons, Desert Temples and Jungle Temples. Yellow shades of crystals can be found in Desert Temples, while green hues are more prominent in Jungle Temples. Village Blacksmiths are the only vanilla structures that can spawn with lightsaber parts. With that, you will then have to gather hilt components and lightsaber crystals! You can find these as loot in vanilla dungeons and villages, crystal caves, or in the depths of a cursed Sith Tomb! Hi FiskFille! Your Mod Is AMAZING!! It Was Make This Mod The Best I Have Ever Played. Thanks For Making Such A Amazing Mod! Maybe shift right click should be to retract a lightsaber and right click would be to block? 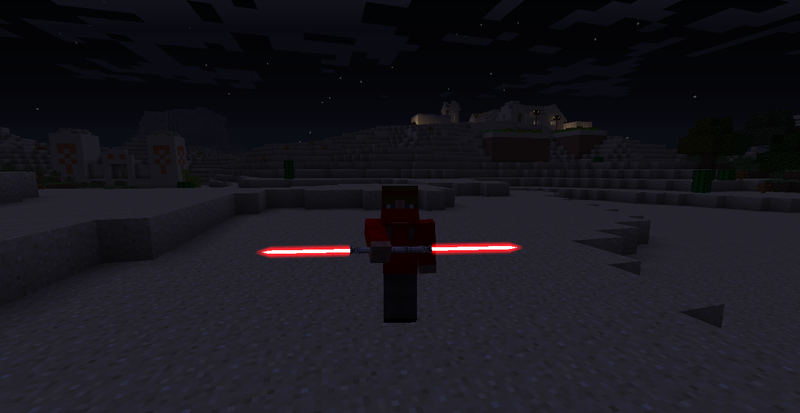 What tool do I use to mine the lightsaber crystals? Start your game in 1.8, set your render distance to something lower than 16, then restart in 1.7.10. Sweet! 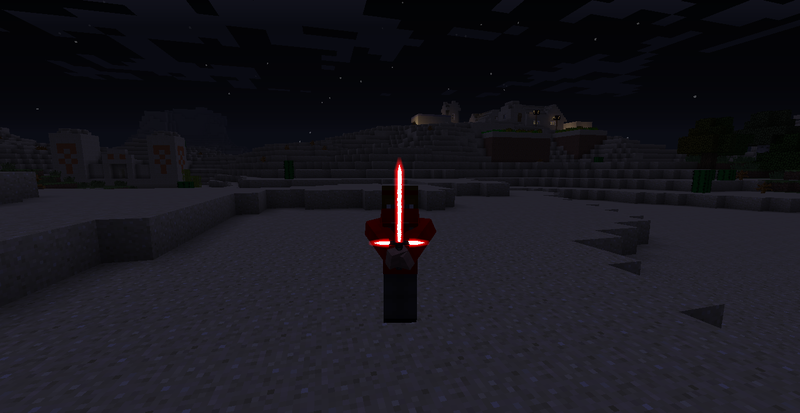 Another mod that has custom light sabers! I can play this while I wait for Parzi's to update to 1.3.0 :3 (By the way this mod, is AMAZING) This is the most best star wars mod i have seen since Parzi's SW's mod! Fisk can you make a Whale mod, who cantain a lot of whales? Hey, this is not working. I download the mod, put it in the mods file. I have forge v1.7.10 and I launch it. It gets to the main menu and I try to create a new world it launches but it doesn't have the words creating world on it and if i click, it stops working and goes unresponsive. Does the issue persist if you uninstall the mod? It is likely your Minecraft memory usage. Go to your Minecraft Start-up, and click "edit" on your forge profile. A new screen should pop up. Look at the bottom of that screen, and find a check box named "JVM arguments". Put a check in that box. Now this is VERY IMPORTANT: Find the "-Xmx2G". It should be the first in the box. Click in the large box and delete "2". Replace it with a higher number, like 3 or 4. Hit "Save Profile" to close the window. Now you should be ready to play! Ok, I tried this and its still not working, ill send the log for everything. I don't know if that will help or not but its a start. [22:36:47] [Thread-8/INFO] [STDOUT]: [paulscode.sound.SoundSystemLogger:message:69]: OpenAL initialized. [22:36:53] [Thread-10/INFO] [STDOUT]: [paulscode.sound.SoundSystemLogger:message:69]: OpenAL initialized. [22:37:14] [Thread-12/INFO] [STDOUT]: [paulscode.sound.SoundSystemLogger:message:69]: OpenAL initialized. There's nothing off or strange with the log you posted. Everything should be working just fine. 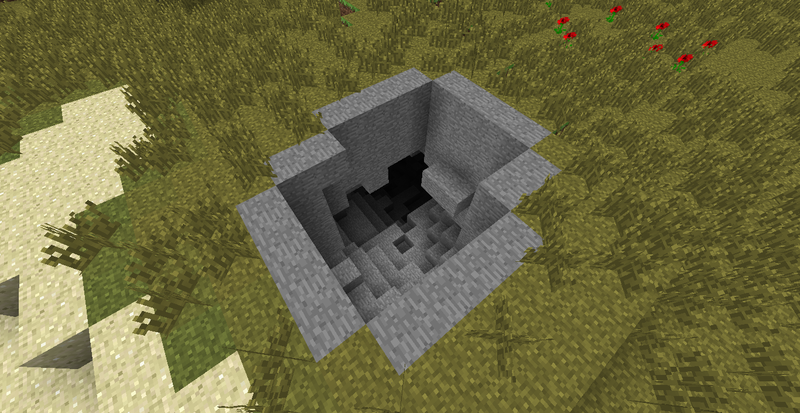 - +when is something inside, it can be visible on forge itself.. I love this mod, it's the most polished and professional mod I've ever seen. I just hope you add a few more dungeon types, that would be great. I also love that you made the Sith Ghost's tough and hard to beat. 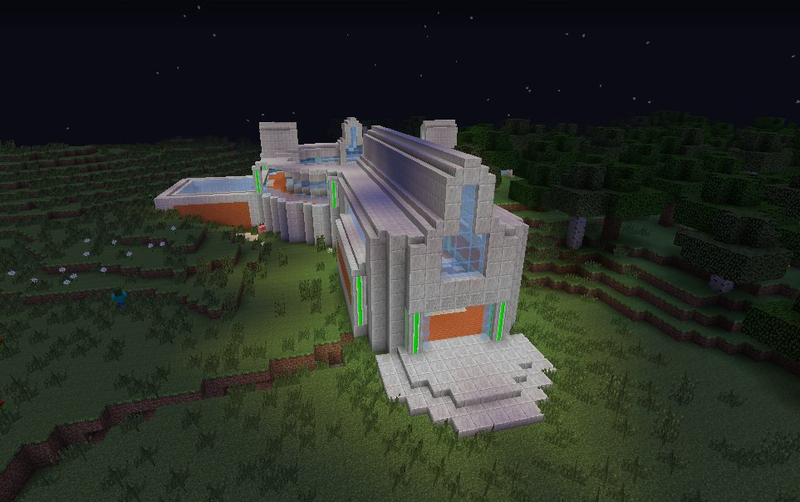 Finally it's an advancement for minecraft in association with Star Wars :-) . FiskFille can you please make a tortotial how to download this? The download is not working for me:( why? 1.8 version? Not 1.8.9, just 1.8? Unlikely. 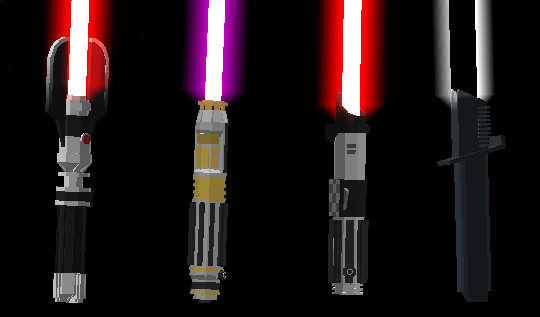 1.8+ probably requires a complete rework of the rendering of the sabers, given all the changes to the rendering systems. Besides, 1.8.0 is utterly outdated. It's like the new 1.7.2. I personally think that, if anything, Adv. LS will head straight to 1.9, but don't quote me on that.